IDS Group is pleased to announce a seminar, from June 11th to June 12th in IDS South Korea. 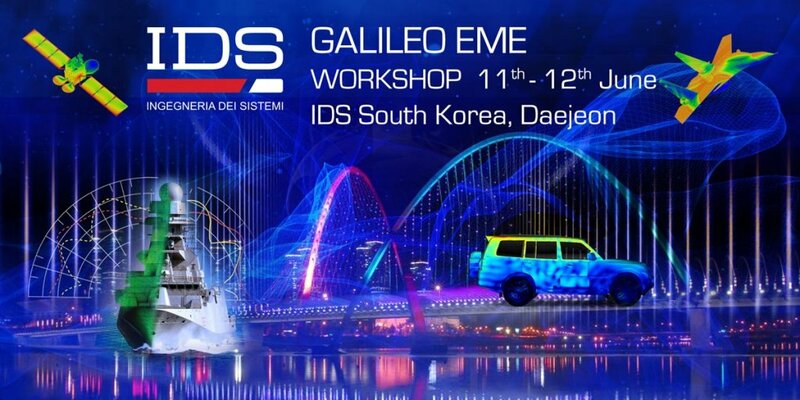 The seminar will focus on Galileo EME, the new state of the art software aimed at the realistic electromagnetic simulation of complex platforms like aircraft, UAV, ship, vehicles and antennas. Galileo EME, fully validated through testing and benchmark data, can act as a reliable engineering tool, to help the project development for platform manufacturers, system integrators, research centers, universities and engineering consultancy companies. Attendees can learn about its application field, features, through live demo session. In addition, attendees can reserve a private meeting with the IDS team, to discuss about the software applicability for their own projects.